All four of the new state party officials are under 40, signaling that the Missouri Democratic Party is seeking to appeal to young voters -- who generally are more progressive, but failed to come out to the polls in strong numbers last month. That's among the reasons some Democrats believe their party's candidates did so poorly. In a telephone interview on Saturday, Webber said he is ready to put in the work needed to bring his party back from political oblivion. "Both personally and as a Democratic Party, we got knocked down on November 8," Webber said. "We lost almost every competitive election. I lost. But if you're in it for the right reasons, then you get back up. Because those things that you were fighting for, still need to be fought for." He said the party will continue fight for "public education, middle class and working people." "Those things need to be fought for," he said. "And I'm excited to be part of that." Webber is close to U.S. Sen. Claire McCaskill, D-Mo., who is keenly interested in revamping and re-energizing the state party’s operations since she is running for re-election in 2018. McCaskill issued a statement of praise after the vote: "I met Stephen at one of my first public town halls as a Senator, when he stood up and asked me a tough question about strengthening services for our military veterans - veterans like the men and women he had served alongside. "I was so impressed with him that I eventually wound up hiring him," the senator continued. "Ever since, Stephen's never stopped asking tough questions, and never stopped finding problems to fix and ways to make Missourians' lives better. He's exactly the right choice to lead Missouri's Democratic Party, to make sure our candidates are speaking to the needs of every Missourian, and to help make sure that working families in our state know it's the Missouri Democratic Party that's fighting for them." McCaskill emphasized in an interview earlier this week that she wanted the state party’s rank and file -- not her -- to take the lead in making changes. Long-time party chairman Roy Temple, a Kansas City political consultant, followed through on his pledge to step aside. “My term ends tomorrow and I do not plan to seek re-election,” Temple said Friday. After Saturday's meeting, Temple said in a statement that “it has been an honor to serve as the Chair of the Missouri Democratic Party." 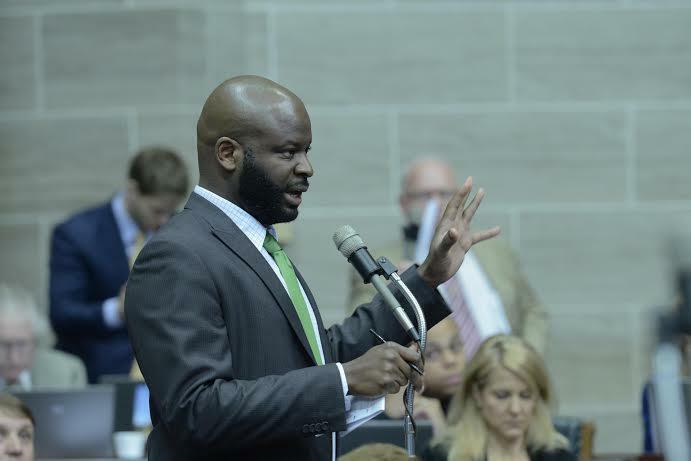 "I look forward to working with Chairman Webber and Democrats across the state to hold Republicans accountable for the harmful agenda they are poised to pursue in Missouri," Temple added. Aside from Smith, who was born in 1977, Webber, Williams and Arthur are all "millennials" -- marking a generational shift of sorts within the party's leadership. They'll face a daunting task of reviving Democratic prospects, especially after Republicans won seven statewide offices and secured supermajorities in the Missouri General Assembly. Another noteworthy fact: several of the new leaders, notably Smith and Williams, had been supporters of U.S. Sen. Bernie Sanders, an independent from Vermont who sought the Democratic nomination for president and narrowly lost to former Secretary of State Hillary Clinton. State Rep. Clem Smith, D-Velda Village Hills, was tapped by Missouri Democrats to serve as the party's secretary. Both Smith and vice chairman Genevieve Williams were supporters of U.S. Sen. Bernie Sanders, an independent from Vermont who sought the Democratic nomination for president and narrowly lost to former Secretary of State Hillary Clinton. "We need everybody," Webber said. "And so, having a team of millennials and young people in leadership is incredibly important. But that doesn't mean we don't value and need folks that have been around for decades involved in progressive politics. "When your party loses a presidential election and you lose the governor's race, you've got to figure out what sort of changes you can make and things you can do better," he added. "And part of having a young, aggressive team is that we want to change the way the Missouri Democratic Party works. We want to do a better job making inroads with younger generations, but also a better job making inroads really everywhere." 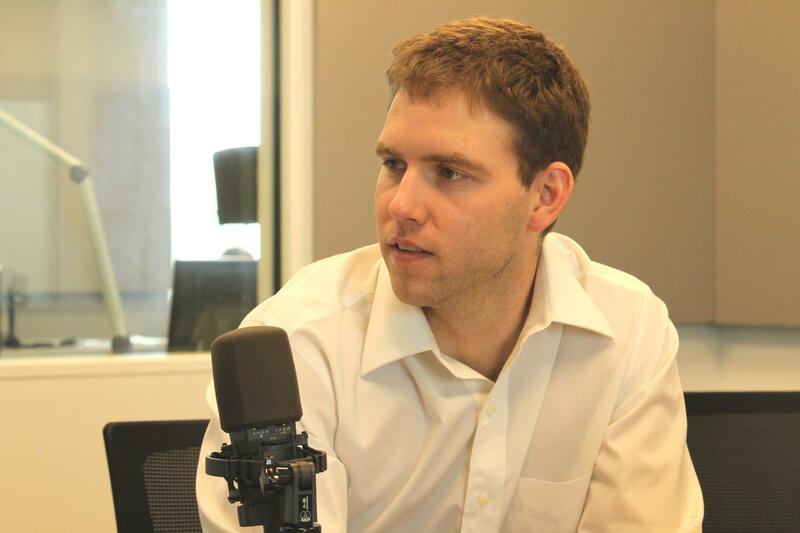 Webber, 33, was first elected to the Missouri House in 2008 and established a fairly progressive voting record during his eight years in the House. He has deep roots in mid-Missouri, as both of his parents worked for the University of Missouri-Columbia. While still a student at Saint Louis University, Webber enlisted in the United States Marine Corps. He served two tours of duty in the Iraq War: His second tour involved leading a squad of Marines in Fallujah. He eventually joined McCaskill’s staff before his successful state House run in 2008. While serving in the Missouri House, he also earned a law degree from the University of Missouri-Columbia. In addition to his close ties with McCaskill, Webber also is personally close with soon-to-be former Secretary of State Jason Kander, a fellow military veteran. Kander narrowly lost his bid for the U.S. Senate against Republican incumbent Roy Blunt. But Kander attracted national attention and praise for his efforts, which included his television ad where he assembled a military assault weapon blindfolded. Since his loss, Kander has been very public with his calls for Democrats to regroup and not run away from their core values. Missouri Republicans expect to choose a new leader in early January to succeed chairman John Hancock, who is leaving to return to his consulting business.